John Ramsay arrived at Port Ellen distillery on Islay at the age of 18 and, during his lifetime, became the effective owner of all five distilleries along the Kildalton coast. But he was also a great agricultural moderniser and helped many of his tenants escape poverty by emigrating to Canada. Neil Wilson tells his story. By any stretch of the imagination, John Ramsay was a remarkable man. Largely self-educated after leaving the tutelage of his dominie Peter MacDougall in Stirling at the age of 12, by the time he was 25 in 1840 he was established as a farmer-distiller residing in Port Ellen, Islay. His journey from Lowland Scotland to Islay was no less remarkable. The Ramsays were a large Clackmannanshire family whose business interests extended to the United States, New Brunswick and Lower Canada and they were related to some of the other great Lowland distilling families, such as the Morrisons and the Steins. Ramsay’s father was a maltster and distiller in Alloa, but his business affairs were not sound and, after his mother died, John recognised that he had to seek his fortune elsewhere. At the age of 12, he rode off through the January snow from the protection of his Aunt Kirsty’s house in Alloa to head for Glasgow, where he found work first in Balfron and later as clerk in a cotton mill in Eaglesham. He was 13 and maintained immaculate accounts of his income and expenditure, which included seven shillings to a Mr Laidlaw for teaching him Latin. 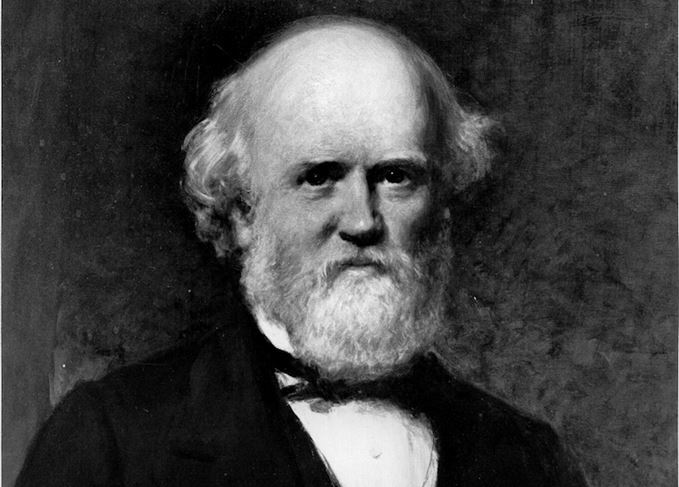 The Ramsays considered themselves reformers and, throughout his life, Ramsay was to advocate that education was of prime importance. In April 1831, Ramsay’s father left Scotland for good and sailed for Montreal, where he was to establish a saddlery business and marry again. Meanwhile, John Ramsay was looking further afield for new work and it was his uncle, Ebenezer Ramsay, the Procurator Fiscal for Clackmannanshire, who asked John to travel to Port Ellen distillery in 1833 to ascertain how satisfactory the management of the family concern was. Ramsay’s cousin, Ebenezer jnr, had been similarly tasked by his father but had failed to report back. Ramsay’s relation John Morrison from Alloa was at this time in charge of the distillery. Due to contrary winds, he was put ashore at Gleann Choiredail near McArthur’s Head (where the lighthouse now stands at the entrance to the Sound of Islay). From there he had to trek the 12 miles overland to Port Ellen, where he arrived to find that Eben had left on the same day to report back to his father that the distillery was unworkable. Ramsay soon realised that this was not the case and told his uncle so. With the timely return of John’s elder brother Thomas from New Brunswick, it was agreed that John should be trained in Alloa as a distiller by James Morrison (John Morrison’s brother), and then return to Port Ellen to take over as manager at an annual salary of £150 (around £17,000 in today’s money). At this time, the lease for Port Ellen was held by Major James Adair of Dumfries, a peg-legged veteran of Waterloo. His death in 1840 meant that the lease would be once more available upon its imminent expiry. The Islay laird, Walter Frederick Campbell, recognising John Ramsay’s precocious business acumen and ambition, exercised his right of pre-emption to secure the lease and purchased the distilling business for £1,950 (around £192,000 now). Ramsay reimbursed Campbell, who drew up a new lease in his name, along with the others for the neighbouring farms of Cornabus and Kilnaughton. John Ramsay was now in business on his own terms and he was to have a profound effect on Islay during the rest of his life. With Port Ellen distillery under sound management, Ramsay turned his attention to agriculture, modernising his farm at Cornabus, as well as draining bogland and being the first to plant turnips in his parish. He would become a well-known contributor to the pages of the Glasgow Herald for many years to come, writing under the pen-name ‘Scottish Farmer’. By 1845, Cornabus was being held up as a model Islay farm where modern agronomy practices first took root on the island. Port Ellen distillery was notable for a number of ‘firsts’. The first spirit safe in Scotland had been installed there and tested by its inventor James Fox before Ramsay’s involvement, but it was then developed into the instrument which is to be seen at every malt distillery in Scotland today. Direct exports from Port Ellen to the US were first instigated by Ramsay, who had handed day-to-day management of the distillery over to James Stein, one of the distillers at Ardenistiel Distillery at Laphroaig, who married Ramsay’s sister Margaret and moved to Port Ellen in 1848. Stein’s arrival allowed Ramsay to spend much more time on the mainland side of his business. Through some family inheritance he invested in and built up the importation of Sherry and Madeira, using the casks to mature his Islay whisky; Ramsay also successfully lobbied the government for the creation of duty-free warehousing. Walter Campbell entrusted Ramsay with many of his personal affairs, to the extent of co-owning a regular steam packet, the Modern Athens, between the Hebrides and Glasgow, and later the Islay which after 1855 serviced the Islay-Glasgow route via Portrush and West Loch Tarbert, and in which several Islay distillers had shares. Islay’s population had boomed to 15,000 in the early 1840s, and Campbell’s estate was suffering as a result of this. Despite efforts to introduce light industry, reopening the lead mines, and building farm steadings and new villages, the bulk of the land was worked in a feudal and primitive manner. The potato famine of 1846 brought Islay’s rural population to the brink of starvation, and Ramsay informed Campbell that his estate was in a precarious position. By the end of 1847, rent arrears stood at £32,000 (£3.2m now) and Campbell’s estate was sequestered and went into administration for the next six years. John Ramsay and Campbell’s son John Francis became trustees. In 1853, a buyer for the Islay estate emerged in the shape of James Morrison of Basildon, who agreed with Ramsay before the public roup (an auction by sealed bids) that, if successful, Ramsay could relieve him of part of the Kildalton parish with an option to purchase the remainder later. Morrison’s bid succeeded and, on 9 May 1855, Ramsay came into possession of a large swathe of land to the north and east of Port Ellen, which was supplemented in 1858 with the further purchase of his leaseholdings. His outlays came to £82,265 (£9.9m now) and included the land on which the distilleries of Laphroaig, Ardenistiel, Lagavulin and Ardbeg were established. Furthermore, these concerns also had to pay rental on their businesses to Ramsay, making him the de facto owner of all five Kildalton distilleries. Before entering politics, Ramsay helped to relieve the immense burden of poverty and over-population on Islay in the 1860s by financing the emigration of many of his tenants to Canada and helping them to make new lives there. He even crossed the Atlantic and visited them in 1870 to see how they were doing. No other Scottish laird made such a journey after similar emigrations. Ramsay’s distilleries evolved into the 20th century after he died on Islay in 1892, but his grandson, Captain Iain Ramsay, could only counteract the post-war effects of the Depression by delaying the inevitable for so long. One by one, the distilleries of Port Ellen, Laphroaig, Lagavulin and Ardbeg were sold off. However, according to his grand-daughter-in-law Freda, it was not these famous distilleries which would be John Ramsay’s greatest memorial, but rather his fellow Ileachs who had emigrated across the Atlantic and created ‘prosperity and happiness across the length and breadth of North America’. Launch of single malt’s second edition comes eight years after its initial release in 2009. With Port Ellen, Brora and Rosebank set to reopen, Dave Broom looks at the broader context. The currently silent Islay distillery will be set up to produce various styles of whisky.